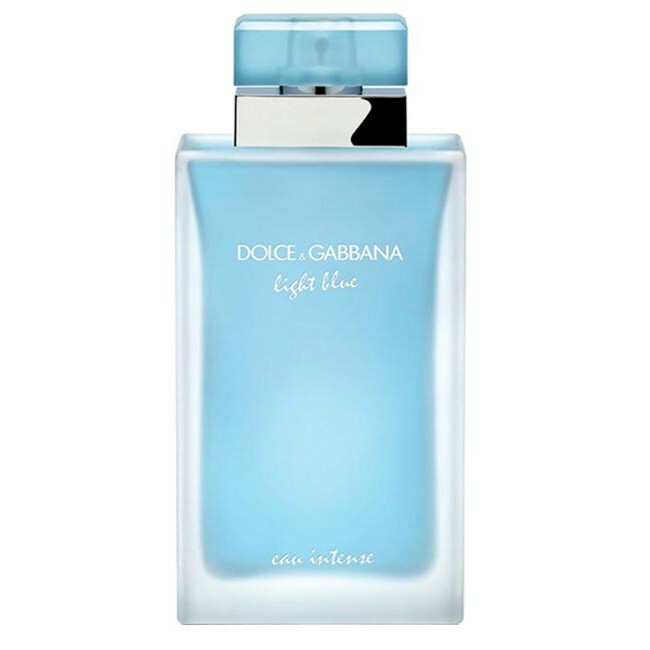 Light Blue Eau Intense reduces the intensity of citruses and enhances the floral notes of the composition. It includes a zesty accord of lemon and Granny Smith apple at the top, with the heart of marigold and jasmine, and a base of amber wood and musk. Light Blue Eau Intense was launched in 2017.